If Spencer Lewis had his way, he'd be Vermont's musician laureate. Unfortunately, that designation doesn't currently exist. But as he argues on his website, the state has a poet laureate — not to mention a cartoonist laureate — so why not a similar honor for the state's musical artists? If anyone is deserving of the accolade, the Randolph-based singer-songwriter, multi-instrumentalist and composer certainly boasts the résumé. In his three-decade-plus career, Lewis has released more than 30 albums spanning a breadth of genres from acoustic instrumental work to rustic folk and rock, all of which are inspired by and capture a distinct kind of Vermontiana. He's even done a children's album. Lewis' latest instrumental record, Riffs on a Broad Reach, is yet another worthy addition to the greater Green Mountain canon. For landlubbers, a broad reach is a sailing term that refers to a downwind sail position in which the sails are eased out almost as far as they will go. It's not quite as gusty, or gutsy, a technique as a dead run, a sometimes dangerous maneuver in which the wind blows directly behind the boat. But a broad reach is an ideal tactic for cruising at speed. On the opening track, "High Over Bethel," Lewis unfurls a blustery swirl of electric guitar, organ and drums. The driving, instrumental folk-rock song evokes that thrilling moment when the wind first catches in your sails, propelling your boat forward. The pleasant inertia continues on the next cut, "Interstellar," which fuses Lewis' arcing fiddle runs with searing electric guitar. Lewis is best known for his more impressionistic and contemplative compositions. He follows suit on "Reaching," a gently lolling number whose serene vibe matches painter Rose Loving's opaque cover art of a sailboat at sunset. Lewis' fiddle flits and flutters above rolling acoustic guitars, like playful gulls trailing a sloop in the breeze. While Riffs on a Broad Reach is nominally a solo album, Lewis captains a fine crew that includes drummers Jeff Berlin and Brett Hoffman, multi-instrumentalist Rudy Dauth, bassist Eric Graham, and keyboardist Bryn Bliska. Each player adds depth and character to Lewis' compositions, nowhere more so than on the album's centerpiece, the four-song suite "Channeling I-IV." The sequence anchors the record and, taken as a whole, could represent the album in microcosm. Each movement builds on the previous one, with dovetailing themes that emerge and disappear like waves. Any good sailor knows that conditions can change unexpectedly. What begins as a placid meditation erupts in a squall by the end. The storm relents on the calming "Meadow Riff," a fine example of Lewis' immaculate cross-picking guitar style. Later, dark clouds gather on the brooding album closer "Stone Silence," bringing to mind an old nautical saying: "Red sky in morning, sailors take warning; red sky at night, sailors' delight." But whether it's morning or night, warning or blessing, the listener is left to decide. That interpretive quality has long been a hallmark of the would-be laureate's finer work, which Riffs on a Broad Reach undoubtedly is. 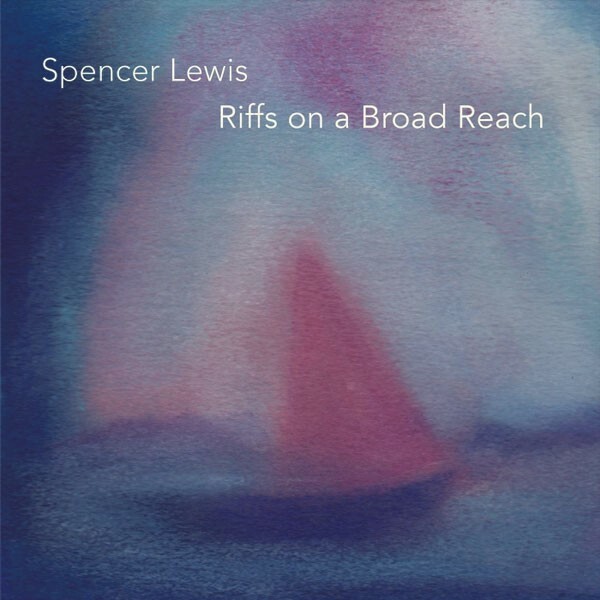 Riffs on a Broad Reach is available at spencerlewismusic.com.